As it turns out, leaf blowers are surprisingly controversial little tools. There are many who think they are just a waste of time and another thing to spend your money on that may have been better spent elsewhere. Perhaps they think a little bit of hard work on your end wouldn’t hurt anybody and would certainly help to minimize the noise level in your neighborhood and lower the pollution level. However; not everyone feels that way and I’m guessing that includes you as you are here, reading this list of the best leaf blowers. The good news is that we agree that leaf blowers have their place and wanted to make sure it was easy to figure out which one to buy to best suit your purpose, after all, there are many choices. If you aren’t quite convinced yet, let us go over some of the pros of owning a leaf blower. First and foremost it will make your leaf clean up SO MUCH EASIER. There is absolutely something to be said about being able to blow all your leaves into a pile for quick and easy pick up without having to rake them and do so much more manual work. Your leaf blower gets bonus points if it can also vacuum up and mulch your leaves as well. Besides ease, they are also very ergonomic. This may not be important if you are a fit 30 something-year-old, but it becomes more and more important as you age and maybe get a little bit frailer and a little bit weaker than you once were. There is the added bonus that most of these can do far more than just blow leaves. They can dry things, some can vacuum, and even others can inflate blow up toys. Many options and many pros to owning a leaf blower. All of the leaf blowers on this list are well used and loved. Many of them are multipurpose and will serve more needs than just blowing leaves. Most of them are fuel or energy efficient and the manufacturers have gone to all lengths to minimize the noise, though that is something that will never fully go away without getting rid of the leaf blower itself. If you are looking for a powerful leaf blower, you can’t go wrong with this Toro Ultra Blower/Vac combo. In addition to that, it has all the cool options added right in. It has speeds that can get up to 250 mph - which is a lot of power. It has the ability to both blow leaves and vacuum them up and mulch them to smaller than half an inch. It comes with a bag that has a zipper on the bottom for easy disposal of anything you vacuum up - plus, you can store all the parts right in the bag when not in use. It also includes a cord lock to ensure you stay plugged in and a cord hook. This leaf blower is not just a leaf blower. It can also function as a vacuum and leaf shredder and easily converts between the different modes. All modes have variable speeds so you can customize it to exactly what the situation calls for. In addition to that, there are different sizes and power options for this model right from the get-go. 88% of all material shredded will be mulched to less than half an inch. Plus, it comes with a fancy bag that has a zipper on the bottom to dispose of all your vacuumed/mulched debris. 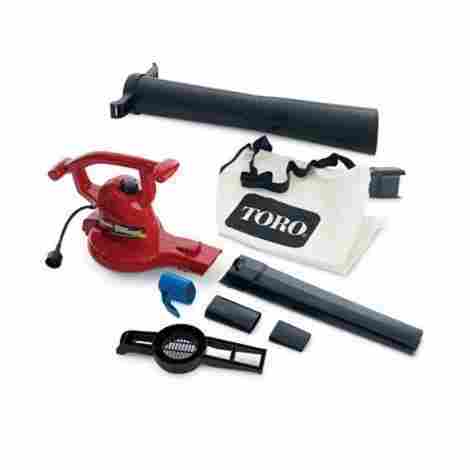 Toro knows that one of the biggest problems that come with having a corded leaf blower is the fact the cord doesn’t always stay in well. They have countered this problem by adding a cord lock feature. It is built in right underneath the handle and will ensure it stays plugged in for as long as you want it to. They also included cord hooks so that you can keep your extension cord right on your machine, minimizing the risk of losing it. This leaf blower combination gives great value. As it comes in a few different power levels, each level is differently priced with more power meaning more money. You can get whatever best fits your needs and still be happy with it. This is a really well-functioning leaf blower that will make your yard clean up much easier than ever before. You will be happy you spent the money you did and won’t regret it for a single second. This Greenworks Leaf Blower is a powerful machine that will help you get your patio, sidewalk, and driveway clean without leaving much if any, carbon footprint. It is corded and will reach as far as the extension cord you purchase to go with it. It is lightweight and easy to carry around and use even for those who don’t have the most muscle around. It is built to be used in small yards and offers unlimited runtime with a decent amount of power as it is not battery powered. This leaf blower is light and easy to maneuver around. It rings in at only 4 and a half pounds. It has a single speed, 160 mph, that isn’t so powerful that it’ll knock you over but is powerful enough to do the job. Because of the combination of these two things, this leaf blower is the perfect leaf blower for almost anyone to use. There is no need to be strong or strap this to your back to get it done. Don’t worry about hiring someone to do this for you or tracking down a strong person, take charge and do it yourself with this Greenworks leaf blower! The design is ergonomic and meant to maximize comfort. 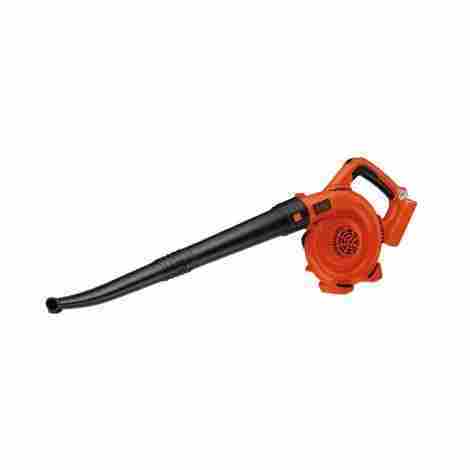 This is a corded leaf blower which drastically helps to decrease its carbon footprint. So much so in fact, that Greenworks claims it has zero carbon emissions. There is no gas or oil to deal with, or any need to use gas or oil to go buy some. You also don’t have to worry about a battery charging, simply plug in your unit and go. Very often in life, you get what you pay for, in fact, most of the time you get what you pay for. That is absolutely the case here. This is a very inexpensive tool that will save you a lot of time and hassle. You’ll love what it does for you and be the happy leaf blowing isn’t a job you’re doing manually anymore. That being said, because this is very inexpensive, don’t expect it to function like the ones landscaping professionals carry around. It’s nowhere near that tough, nor is it meant to be. This is a product made for the consumer and those who have small yards will love it the most. If that is you, this is a no-brainer purchase for you. Do it and thank yourself later. This Hitachi leaf blower is the first gas blower we’ve talked about on our list. It has all the perks of gas that you find in other lawn tools - longer life, more power, industry standard, etc. If you have a bigger job that needs to be done, you really need to have a gas powered tool. 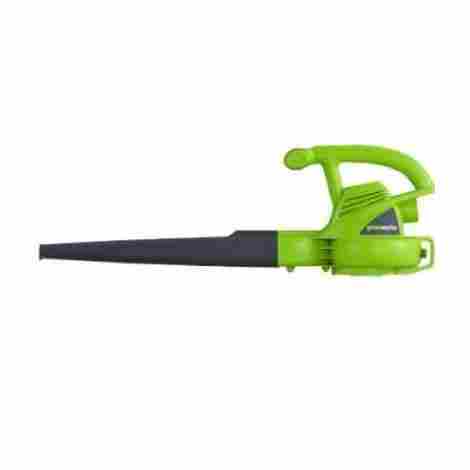 This is lightweight as far as gas leaf blowers go, reaches up to 170 miles per hour, and features a 7-year warranty if used for consumer use, 2 for commercial use. One of the big perks that an electric leaf blower has over a gas one is its lessened carbon footprint. Hitachi does a lot to respond to that need by including a 1.13 horsepower commercial grade engine that features PureFire low-emission two-stroke technology. This benefits you in more ways than helping the environment, it also means fewer fumes for you and ultimately decent gas efficiency. The engine on this leaf blower has an air volume of 441 cubic feet per minute and can reach speeds up to 170 miles per hour. What this means in layman's terms is that this leaf blower is perfect for any job. Do you have a big pile of fall leaves to clean up? Perfect! This leaf blower is up to the task. Did you just mow your lawn and want your sidewalks to look clean and not full of debris? Perfect! This leaf blower is light enough and easy enough to use that you’ll be happy to pull it out then too. This Hitachi leaf blower is a powerful little machine. It’ll work nearly as hard as you want it to and is even suitable for commercial jobs given the appropriate care. It blows hard and fast, which means it does cost more than a standard leaf blower. Odds are good that it’ll be worth your purchase, no questions asked. It has a 7-year warranty for consumer use which means it should last at least that long. If you were to buy a cheaper one, you’d have to replace it sooner and likely end up spending the same amount of money. Same goes for a professional - you’ll want something with enough power to finish your job quicker so you can move on to the next one and there will be no hesitation paying for it. Black and Decker don’t mess around with this leaf blower. It has all the power you could ask for personally or professionally. It is electric and does require an extension cord, which can be a pro or a con depending on how you see it and what you’re looking for. It is excellent at moving and mulching pretty much anything, including wet leaves. It’ll save your back from bending and scooping all fall and allow you to have pretty flower beds and a clean driveway in the winter. When you buy a leaf blower you want it to be able to do all the jobs a leaf blower should be able to do. This includes picking up all your wet, matted leaves. What good is a leaf blower if it can’t do the dirty, and often hard and heavy, work? On the other hand, what good is a leaf blower if it can’t get your grass clippings out of the flowerbed? You’ve taken such care to get it looking good, it would be a shame if it was made a mess by just mowing your lawn. Good news - this leaf blower can satisfy both needs very well. Not only is this leaf blower very good at blowing leaves, it will also vacuum and mulch as well. The mulching ability is awesome enough to have its own section on this review even. It’ll shred pretty much anything you can throw at it - even sticks, twigs, and magnolia seeds. If it can take on such big, solid things just imagine how good it is with leaves! It literally chews them up and spits them out into tiny particles, some may say dust. This is a top of the line power tool with a price tag to match. It is expensive. Easily the most expensive on this list. That being said, you can find good used options for much, much cheaper if you are interested in that. The fact that there are good, viable used options speaks volumes to the quality of this leaf blower. It will last you for a long time and do whatever you want it to. It has the power and functionality to make you happy for a very, very long time. It may even provide you with some resale value. It’s definitely a good buy if you really need a powerful, heavy duty leaf blower that can also mulch and vacuum. This is a powerful little leaf blower. If big heavy tools aren’t your style then this Sun Joe will be perfect for you. It is lightweight and easy to carry and store. But don’t let that lead you to believe that it doesn’t pack a windy punch. It will reach speeds up to 215 miles an hour that will very successfully sweep your driveway or patio. As an added bonus, it also comes in a variety of different colors so you can get one that matches your personality and does the job. Winning. Unlike other electric leaf blowers in the same size class, this one comes with a powerful 10 amp power punch. That means you get all the benefits of a lightweight and easy to store leaf blower with the power of a 215 mph wind speed. This Sun Joe is the perfect tool for small jobs. Don’t be expecting to get something that will be as powerful as a professional tool, but do expect a perfect little tool for cleaning up your yard. As it is corded it will only go as far as the extension cord you get to go with it. It is lightweight and easy to carry and with two different speed settings is absolutely powerful enough to get the job done. It works great on patios and driveways and also has the ability to help clean your grass and assist in getting rid of leaves. This is a great little leaf blower for a great little cost. You will hardly notice the dent this makes in your pocket, but will definitely notice the awesome sweep up job it does on your driveway or patio It is meant to be a small, lightweight tool and does simple work around your yard. It absolutely does that. As long as your expectations are set correctly, you will be more than satisfied with your purchase and it will serve you well. 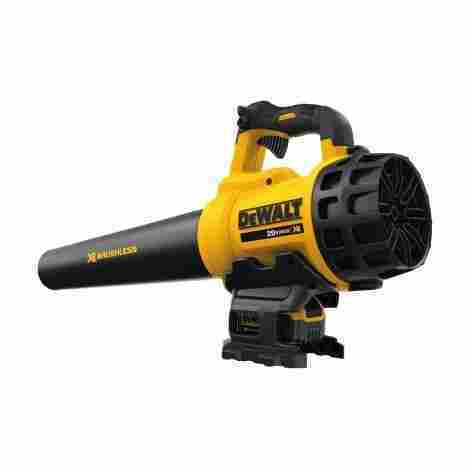 Dewalt makes many great power tools and this leaf blower is easily included in that. It is small and lightweight, yet powerful. It features variable speeds to better suit your particular needs at any given time and also will speed lock so you don’t accidentally bump it to a speed you don’t want. Its design makes it capable of maximizing air input and output which translates to more power for you. Perhaps best of all, it comes with a battery and charger. On the surface, this leaf blower looks like it might not be as powerful as you want. It is only advertised at 90 miles per hour versus much higher miles per hour other models boast. Don’t be mislead though, because this unit boasts 400 CFM. CFM stands for cubic feet per minute and is interpreted at the velocity that the air can flow into or out of a space. Ultimately, this means that there is still a lot of power here and you’ll be able to clean off your driveway and patio with ease. This DeWalt leaf blower is the first on our list to be strictly battery powered. This can be both a pro or a con, but here is largely a pro. It allows you to move around at will and out of range of an extension cord or plug without worry. There is no getting tangled or looking out for a cord. The biggest bonus here though is that you aren’t losing power. You’ll still have all the power that you need for as long as you need. This unit even comes with the 5.0 Ah lithium battery and charger that will be required to run your leaf blower. This is one of the more expensive leaf blowers on our list. But, it should be cleared up right away that you are getting good value for your money. The battery and charger alone account for most of the upfront cost and they are reusable beyond the life of your leaf blower. In addition, you do have the option to get it without those items included. It is a powerful tool that will take quick and easy care of your leaf blowing needs without hurting your back or being too heavy. It is easily worth its cost. 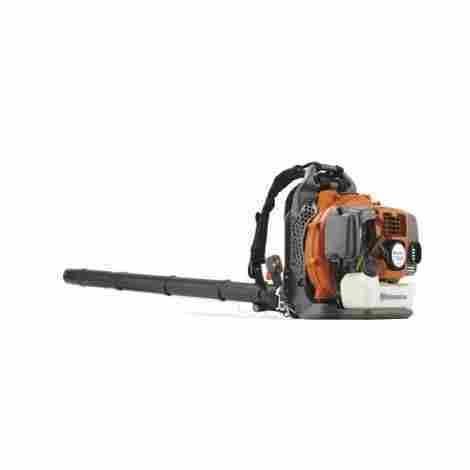 This Husqvarna leaf blower is made for mid to large jobs. That can include everything from the homeowner with a decent amount of land to the landscaping professional who is going all day long. It is gas powered and very fuel efficient but still has a powerful engine. Everything is designed for comfort and ease of use from the harness to the controls. The handle is easily adjustable with a soft grip in order to more easily adjust things. In a somewhat unique design, this leaf blower is designed to be strapped on similar to a backpack. In order to maximize comfort, the shoulder straps are wide and a hip belt is included. This makes the backpack ergonomically correct and will minimize the impact on your body - even if you do this for a living and end up wearing it and leaf blowing all day long. In addition, all of the straps are ventilated. Everything is built for comfort and you will easily recognize it as soon as you strap this baby on. A very well thought out addition to this leaf blower is the addition of a cruise control. It can be a drag when you are out leaf blowing for potentially long stretches and have to hold the trigger in exactly the same place the entire time or risk blowing something inappropriately, or worse, knocking yourself over in the process. Husqvarna responded to this by including a cruise control speed. Did you find a speed you like and want to keep it there? Cool! Just lock it and you are good to go for as long as you need. This is another leaf blower that is fairly expensive. It does have a lot of bells and whistles though and earns its price. It is gas powered, has a strong engine, features cruise control, and the list goes on. It works long and hard - for both homeowners with a lot of land and landscaping professionals. You would expect something with all of these features to cost a pretty penny. It’s not the most expensive on the list, but it does rank up there. However; if this is what you are looking for you will be quite satisfied with your purchase and be grateful you spent the money. 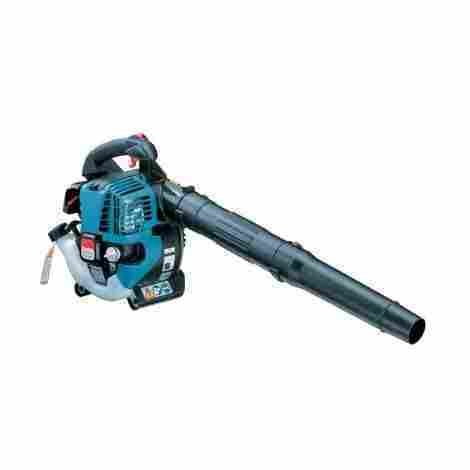 This Makita leaf blower is a powerful gas powered blower that is the lightest in its class at 9.8 pounds. It is fuel efficient and features cruise control capabilities. It offers easy access to the spark plugs and filter so all the dreaded maintenance on a gas-powered unit is just a little bit easier to handle here. It is comfortable to hold and comes with a muffler so it isn’t quite as loud as other gas leaf blowers. This Makita will serve you well whether you are only interested in cleaning your yard or do it professionally. This 4 stroke engine is cleaner burning than others, which is definitely important if you are concerned about the environment but still want or need the power of a gas leaf blower. It is also the lightest in its class, which is a big deal when you’re talking about gas units. They tend to be much heavier than battery powered or corded ones. In addition, this engine starts easily thanks to mechanical automatic engine decompression and comes equipped with a large capacity muffler. Another big perk: there is no fuel mix required. The makers of this leaf blower really designed this unit with your comfort in mind. There is a soft grip which minimizes the vibrations you feel. If you’ve done any leaf blowing with a big powerful engine before, you know that is critical. It also includes a cruise control so that your hand doesn’t get cramped holding a constant pressure in order to maintain a steady wind speed. Plus, it is just about as light as a leaf blower in this class can be. 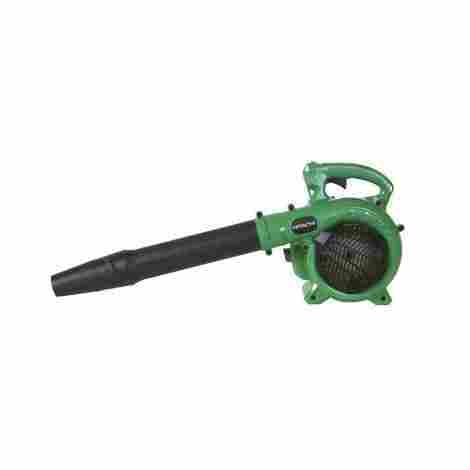 This is a leaf blower that is gas powered and functions well for professional use so it does come with a little bit of a higher price tag. It is far from the most expensive on the list, especially when compared to other gas models. It does still cost a pretty penny but will last you for a long time. You will get a comfortable hold on a powerful gas leaf blower without having to worry about spending all of your money on it. All things considered, this is a good buy for the cost. 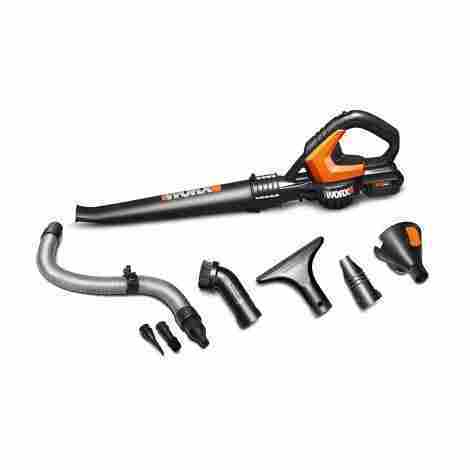 This WORX leaf blower/multipurpose sweeper/cleaner really does it all. It is great for use inside and outside. It is battery powered, comes with a battery and charger, and functions beautifully without a cord. You can keep your home cleaner on all levels with the assistance of this fancy tool. It can clean your driveway, patio, hard to reach dusty areas including those on electronics, and it can even be used to inflate and deflate all sorts of toys. It is lightweight and not too loud. With this leaf blower, you get 8 specialized attachments. There is a long tube which is perfect for your standard leaf blower needs. It has a narrow opening so the air is more focused and does the job quickly and effectively. There are a dust brush and a dust nozzle for cleaning up dust in and around your home and in all the hard to reach places - including things like keyboards. There is a short that works for quick cleanups and an extension tube that will fit with the others, making it longer if needed. There is also a detail brush and a wide mouth nozzle about the size of a kitchen dustpan. Let’s not forget the inflator and deflator attachments. You’ll never have to blow things up again and will be able to quickly deflate them when you’re done with them. You will be able to get to all the hard to reach places with this leaf blower. It is small and lightweight and easily maneuvered. You’ll be able to get it into an awkward position you want and very effectively pick up all dust and dirt. You won’t have to move anything and you will be able to have a cleaner area both around and inside of your home. This certainly isn’t the cheapest leaf blower on our list, but it is far from the most expensive as well. It sits happily somewhere right in the mid-low end. For all the function and versatility you are getting out of it, that price should probably be a lot higher. All attachments come included in the original price and don’t have to be purchased separately like is the case with most others. This is a quality product that works as advertised and will amaze you at all the ways it can serve you. Definitely worth the price you pay for it. Only meant for lightweight items - dust, dirt, grass, etc. This leaf blower holds up to the Black and Decker name. 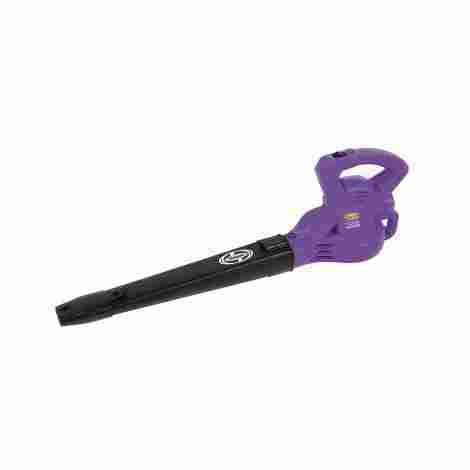 It is powerful and will easily take care of all your leaf blowing and sweeping needs. The perfect job for this leaf blower is blowing leaves off of patios, decks, driveways, and walkways. It can come with or without a battery (obviously the price changes) depending on your personal preferences. It has a soft handle for easier holding and weighs in at just 4.7 pounds so that there is no heavy lifting involved. Do you like to make the decisions? If so, this is the leaf blower for you. It features a power command center where you can choose whether you want the battery life to last longer or you want all the power you can get. This allows you to ramp up the power when you want, but also to preserve battery life a little bit if you are getting close to done and would rather just finish than have to recharge and finish later. It also helps to be able to choose your speed so that you can customize your clean a little bit - not giving the flowers the same amount of air as you would the driveway. A nifty feature that can be found on these leaf blowers that isn’t on the others is the built-in scraper. It is right at the end of the blower, on the bottom. It is hardly noticeable but serves a big purpose. If you happen to have matted leaves or something stuck in your driveway there is no problem with this leaf blower! Just chip at it a little with your built-in scraper and you will be on your way with no time lost looking for something to break up the leaves or get whatever is stuck to the driveway up. There are two different options with this model. You can get it with a battery or without. Getting it with a battery is obviously the more expensive route but an essential one if you don’t have other 40 V lithium batteries lying around anywhere. If, however; you have several of this line of Black and Decker tools they all use the same battery and you will be well served to save that money. Either way, this falls about the middle of the pack cost wise. It is a functional little machine that will absolutely clean up your leaves and other debris that you have lying around. It is worth your purchase and will serve you well for years with the proper care. So, it’s official by this point. You’ve decided to buy yourself a leaf blower. You’ve read through all the descriptions and learned of all that they can do and now you need one. Preferably shipped through two days amazon prime shipping so you can have it here, like tomorrow. Or the next day. But how do you know which one is best for you? There are a lot of options and each one of them has their merit. While you won’t really go wrong with any of the ones listed here, there will absolutely be one that is better for you than some of the others listed. But, what things will help you narrow down your options? The million dollar question is should I get gas or electric? There are pros and cons to both models so let’s go over some of them now. Starting with gas, it is the industry standard as far as power is concerned. You will be hard-pressed to find an electric leaf blower that has as much get up and go as a gas one does. If you’ve got a big job to do or perhaps do this professionally, it really makes a lot more sense to get a gas powered leaf blower. You will be able to pick up faster and not waste your time with less blower than you need. Most models these days are fairly fuel efficient and they will serve longer lives than the electric version. There are also cons to a gas leaf blower. They are 100% of the time louder than an electric blower. They are also 100% of the time heavier than the electric counterpart. Having an engine with a fully functional gas motor will do that. That leads us to our next con – you have to take care of that engine and that involves gas, oil, or a mixture of the two, spark plugs, filters, etc., etc. That can get time consuming and expensive. Speaking of which, they are typically more expensive as well. So what about an electric leaf blower? Some pros to having an electric blower are that you will never have to go out and buy gas. Most electric leaf blowers are reasonably powerful and will get the job done. You can choose between corded or battery powered. They are typically smaller and easier to carry around which also makes them easier to maneuver. Because they don’t come with a complicated gasoline engine, they are usually cheaper as well. The carbon footprint is also minimized when you use electricity. That sounds really good, are there really cons to an electric leaf blower?? The answer is definitely yes. They don’t typically boast as much power as a gas version. You are limited in what you are able to do because you are either corded and dependent on the ability to reach an outlet and the length of your extension cord or you are battery powered and fully at the mercy of the quality of your battery. You won’t be able to do as big of jobs and likely won’t be able to get the heavier, wetter, messier leaves up with an electric blower. The size of your yard, or the area you plan on cleaning, should greatly weigh in on your decision. Size makes all the difference from the type of motor you get to the size of your leaf blower and the amount of money you should plan on spending – or saving. If you plan on buying this leaf blower for professional landscaping purposes, then you should absolutely get a gas one. No questions asked. It may even be a good idea to get a backpack variety as you’ll likely be hauling it around for extended periods of time throughout the day and your body will thank you for getting an easy one to carry. Buy yourself a good set of earplugs with it and you’ll be good to go. Perhaps you don’t own a landscaping business, but you do own a big yard – a big yard that needs a lot of cleaning that you’d like to not spend your entire weekend doing. It may be worth looking into a gas model here as well because they are more powerful and won’t limit you to an extension cord or shorter than you’d like battery life. However, some of the more heavy duty electric options would also suit you well and you would be spending no more than you would on a gas. Is your yard a small yard? If so, don’t waste your money on a gas blower. You just won’t need the power or the hassle that comes along with it. You are who all the small, cheap, corded or battery powered leaf blowers are for. The fact is that most people only have a limited space to clean and will be perfectly well served with a model suited to do just that. There is no need to get the biggest fanciest version just to clean a tiny yard. Plus, some of the smaller options come with cool extensions that make it even more useful than just a leaf blower. Do you want your leaf blower to just blow leaves? Certainly, that is a job worthy of purchasing a leaf blower for and not expecting anything more from it, but do you want it to be able to do more? There are several levels of what “more” means and it’s up to you to decide what best suits your needs. Perhaps the most common added feature is being able to vacuum and mulch. 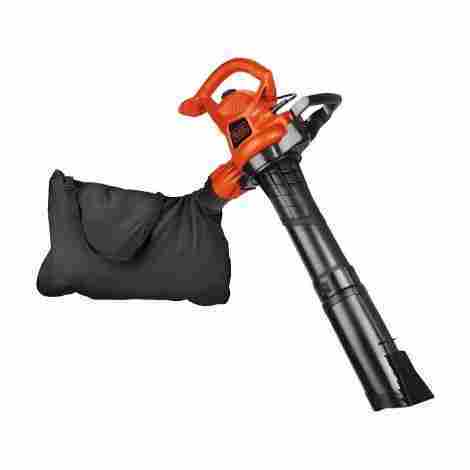 Afterall, a leaf blower is a far more functional tool if it can also vacuum up the leaves it is blowing and mulch them so that they take up considerably less space than they would otherwise. It saves you, even more, time and effort than simply a leaf blower does. The best purchases are ones that will really be worth their money, and a leaf blower that also mulches and vacuums are worth the extra money it will cost you. There are others, like the WORX model on this list, that will do all sorts of things. You can buy (or maybe they come with in some cases) all kinds of different attachments. They allow you to do anything from cleaning flower beds, to cleaning in your house, to inflating and deflating blow-up toys. There is a lot of function if something like that may go a long way in justifying a purchase you may not have originally seen merit in. Q: What is a leaf blower used for? A: It is used to move leaves and debris from around your house and off your hard surfaces (driveway, sidewalk, patio, etc.). Q: What is the benefit of a leaf blower with a vacuum attachment? A: It will also vacuum up the leaves it blows and typically bags them for you, further minimizing your workload. A: If it has a gas motor or is equipped with a battery then, yes, it is cordless. Q: Does this battery powered leaf blower come with a charger? A: Some do, others don’t. Some will even allow you to choose which way you want to buy it. Make sure that you read the description before purchasing so you aren’t surprised when you take it out of the box. Q: Is this suitable for professional use? A: Most gas options are suitable for professional use. 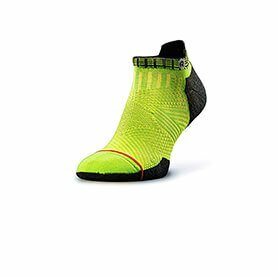 Electric options typically are not as they restrict your run time or distance. Q: Will this pick up wet leaves? A: The more powerful the model, the more expensive the model, the more likely it is to pick up wet leaves. Don’t expect a light duty electric leaf blower to make a dent in wet leaves. Do expect that of your heavy duty gas one. Q: What is leaf blower CFM? A: It stands for cubic feet per minute. It is a measurement of the velocity of air into and out of a tube or your leaf blower in this case. Q: Can my leaf blower also blow snow? A: Some can, typically the more heavy duty ones.